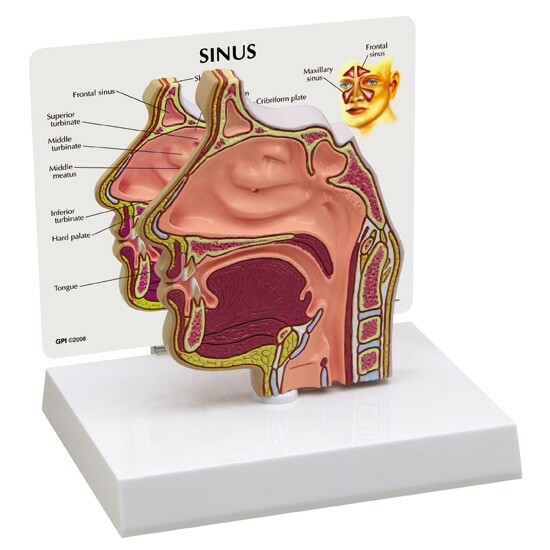 Full size cut-away normal model depicts a near median section through the nose and nasal passages. 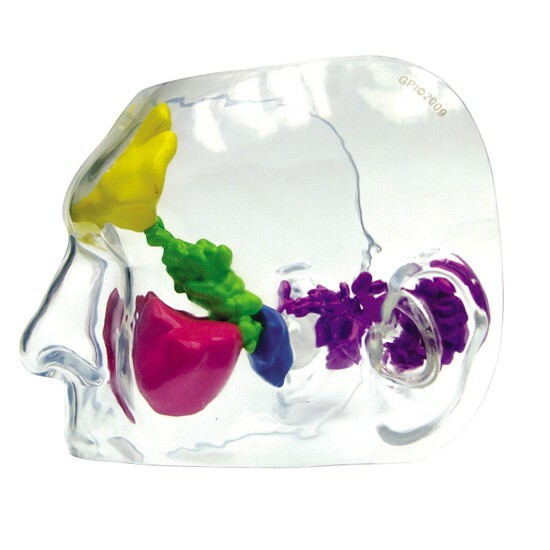 Details include nasal cavity, soft and hard palate, uvula, eustachian tube and pharyngeal tonsil. 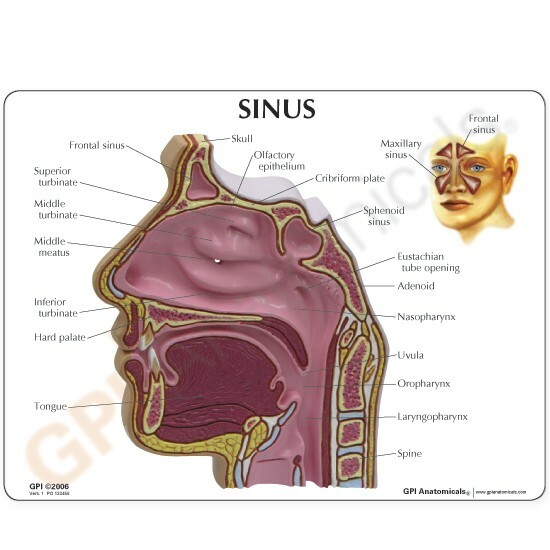 Reverse side shows ethmoid and maxillary sinus cavities. GPI does not sell to the retail market and has developed an excellent network of distributors who can take care of your individual needs. The links below will direct you to the dealer product pages for our #9191 model. For a list of all of our dealers please visit our Where to Purchase page. GPI does not sell to the retail market and has developed an excellent network of distributors who can take care of your individual needs. The links below will direct you to the dealer product pages for our #9190 model. For a list of all of our dealers please visit our Where to Purchase page. GPI does not sell to the retail market and has developed an excellent network of distributors who can take care of your individual needs. The links below will direct you to the dealer product pages for our #9095 model. For a list of all of our dealers please visit our Where to Purchase page. GPI does not sell to the retail market and has developed an excellent network of distributors who can take care of your individual needs. The links below will direct you to the dealer product pages for our #3500 model. For a list of all of our dealers please visit our Where to Purchase page. GPI does not sell to the retail market and has developed an excellent network of distributors who can take care of your individual needs. The links below will direct you to the dealer product pages for our #2650 model. For a list of all of our dealers please visit our Where to Purchase page. GPI does not sell to the retail market and has developed an excellent network of distributors who can take care of your individual needs. The links below will direct you to the dealer product pages for our #4010 model. For a list of all of our dealers please visit our Where to Purchase page. GPI does not sell to the retail market and has developed an excellent network of distributors who can take care of your individual needs. The links below will direct you to the dealer product pages for our #3341 model. For a list of all of our dealers please visit our Where to Purchase page. GPI does not sell to the retail market and has developed an excellent network of distributors who can take care of your individual needs. The links below will direct you to the dealer product pages for our #2575 model. For a list of all of our dealers please visit our Where to Purchase page. GPI does not sell to the retail market and has developed an excellent network of distributors who can take care of your individual needs. The links below will direct you to the dealer product pages for our #3450 model. For a list of all of our dealers please visit our Where to Purchase page. GPI does not sell to the retail market and has developed an excellent network of distributors who can take care of your individual needs. The links below will direct you to the dealer product pages for our #1810 model. For a list of all of our dealers please visit our Where to Purchase page. GPI does not sell to the retail market and has developed an excellent network of distributors who can take care of your individual needs. The links below will direct you to the dealer product pages for our #1060 model. For a list of all of our dealers please visit our Where to Purchase page. GPI does not sell to the retail market and has developed an excellent network of distributors who can take care of your individual needs. The links below will direct you to the dealer product pages for our #2550 model. For a list of all of our dealers please visit our Where to Purchase page. GPI does not sell to the retail market and has developed an excellent network of distributors who can take care of your individual needs. The links below will direct you to the dealer product pages for our #1800 model. For a list of all of our dealers please visit our Where to Purchase page. GPI does not sell to the retail market and has developed an excellent network of distributors who can take care of your individual needs. The links below will direct you to the dealer product pages for our #1320 model. For a list of all of our dealers please visit our Where to Purchase page. GPI does not sell to the retail market and has developed an excellent network of distributors who can take care of your individual needs. The links below will direct you to the dealer product pages for our #1830 model. For a list of all of our dealers please visit our Where to Purchase page. GPI does not sell to the retail market and has developed an excellent network of distributors who can take care of your individual needs. The links below will direct you to the dealer product pages for our #1100 model. For a list of all of our dealers please visit our Where to Purchase page. GPI does not sell to the retail market and has developed an excellent network of distributors who can take care of your individual needs. The links below will direct you to the dealer product pages for our #1260 model. For a list of all of our dealers please visit our Where to Purchase page. GPI does not sell to the retail market and has developed an excellent network of distributors who can take care of your individual needs. The links below will direct you to the dealer product pages for our #1980 model. For a list of all of our dealers please visit our Where to Purchase page. GPI does not sell to the retail market and has developed an excellent network of distributors who can take care of your individual needs. The links below will direct you to the dealer product pages for our #1985 model. For a list of all of our dealers please visit our Where to Purchase page. GPI does not sell to the retail market and has developed an excellent network of distributors who can take care of your individual needs. The links below will direct you to the dealer product pages for our #1920 model. For a list of all of our dealers please visit our Where to Purchase page. GPI does not sell to the retail market and has developed an excellent network of distributors who can take care of your individual needs. The links below will direct you to the dealer product pages for our #1850 model. For a list of all of our dealers please visit our Where to Purchase page. GPI does not sell to the retail market and has developed an excellent network of distributors who can take care of your individual needs. The links below will direct you to the dealer product pages for our #1310 model. For a list of all of our dealers please visit our Where to Purchase page. GPI does not sell to the retail market and has developed an excellent network of distributors who can take care of your individual needs. The links below will direct you to the dealer product pages for our #1930 model. For a list of all of our dealers please visit our Where to Purchase page. GPI does not sell to the retail market and has developed an excellent network of distributors who can take care of your individual needs. The links below will direct you to the dealer product pages for our #1931 model. For a list of all of our dealers please visit our Where to Purchase page. GPI does not sell to the retail market and has developed an excellent network of distributors who can take care of your individual needs. The links below will direct you to the dealer product pages for our #1000 model. For a list of all of our dealers please visit our Where to Purchase page. GPI does not sell to the retail market and has developed an excellent network of distributors who can take care of your individual needs. The links below will direct you to the dealer product pages for our #1311 model. For a list of all of our dealers please visit our Where to Purchase page. GPI does not sell to the retail market and has developed an excellent network of distributors who can take care of your individual needs. The links below will direct you to the dealer product pages for our #1720 model. For a list of all of our dealers please visit our Where to Purchase page. GPI does not sell to the retail market and has developed an excellent network of distributors who can take care of your individual needs. The links below will direct you to the dealer product pages for our #1500 model. For a list of all of our dealers please visit our Where to Purchase page. GPI does not sell to the retail market and has developed an excellent network of distributors who can take care of your individual needs. The links below will direct you to the dealer product pages for our #1760 model. For a list of all of our dealers please visit our Where to Purchase page. GPI does not sell to the retail market and has developed an excellent network of distributors who can take care of your individual needs. The links below will direct you to the dealer product pages for our #1510 model. For a list of all of our dealers please visit our Where to Purchase page. GPI does not sell to the retail market and has developed an excellent network of distributors who can take care of your individual needs. The links below will direct you to the dealer product pages for our #1010 model. For a list of all of our dealers please visit our Where to Purchase page. GPI does not sell to the retail market and has developed an excellent network of distributors who can take care of your individual needs. The links below will direct you to the dealer product pages for our #1790 model. For a list of all of our dealers please visit our Where to Purchase page. GPI does not sell to the retail market and has developed an excellent network of distributors who can take care of your individual needs. The links below will direct you to the dealer product pages for our #2500 model. For a list of all of our dealers please visit our Where to Purchase page. GPI does not sell to the retail market and has developed an excellent network of distributors who can take care of your individual needs. The links below will direct you to the dealer product pages for our #3480 model. For a list of all of our dealers please visit our Where to Purchase page. GPI does not sell to the retail market and has developed an excellent network of distributors who can take care of your individual needs. The links below will direct you to the dealer product pages for our #2800 model. For a list of all of our dealers please visit our Where to Purchase page. GPI does not sell to the retail market and has developed an excellent network of distributors who can take care of your individual needs. The links below will direct you to the dealer product pages for our #2750 model. For a list of all of our dealers please visit our Where to Purchase page. GPI does not sell to the retail market and has developed an excellent network of distributors who can take care of your individual needs. The links below will direct you to the dealer product pages for our #3120 model. For a list of all of our dealers please visit our Where to Purchase page. GPI does not sell to the retail market and has developed an excellent network of distributors who can take care of your individual needs. The links below will direct you to the dealer product pages for our #2900 model. For a list of all of our dealers please visit our Where to Purchase page. GPI does not sell to the retail market and has developed an excellent network of distributors who can take care of your individual needs. The links below will direct you to the dealer product pages for our #1700 model. For a list of all of our dealers please visit our Where to Purchase page. GPI does not sell to the retail market and has developed an excellent network of distributors who can take care of your individual needs. The links below will direct you to the dealer product pages for our #3342 model. For a list of all of our dealers please visit our Where to Purchase page. GPI does not sell to the retail market and has developed an excellent network of distributors who can take care of your individual needs. The links below will direct you to the dealer product pages for our #3851 model. For a list of all of our dealers please visit our Where to Purchase page. GPI does not sell to the retail market and has developed an excellent network of distributors who can take care of your individual needs. The links below will direct you to the dealer product pages for our #3110 model. For a list of all of our dealers please visit our Where to Purchase page. GPI does not sell to the retail market and has developed an excellent network of distributors who can take care of your individual needs. The links below will direct you to the dealer product pages for our #3100 model. For a list of all of our dealers please visit our Where to Purchase page. GPI does not sell to the retail market and has developed an excellent network of distributors who can take care of your individual needs. The links below will direct you to the dealer product pages for our #3130 model. For a list of all of our dealers please visit our Where to Purchase page. GPI does not sell to the retail market and has developed an excellent network of distributors who can take care of your individual needs. The links below will direct you to the dealer product pages for our #2860 model. For a list of all of our dealers please visit our Where to Purchase page. All other models currently in stock. GPI does not sell to the retail market and has developed an excellent network of distributors who can take care of your individual needs. The links below will direct you to the dealer product pages for our #9196 model. For a list of all of our dealers please visit our Where to Purchase page. GPI does not sell to the retail market and has developed an excellent network of distributors who can take care of your individual needs. The links below will direct you to the dealer product pages for our #9200 model. For a list of all of our dealers please visit our Where to Purchase page. GPI does not sell to the retail market and has developed an excellent network of distributors who can take care of your individual needs. The links below will direct you to the dealer product pages for our #1650 model. For a list of all of our dealers please visit our Where to Purchase page. GPI does not sell to the retail market and has developed an excellent network of distributors who can take care of your individual needs. The links below will direct you to the dealer product pages for our #1900 model. For a list of all of our dealers please visit our Where to Purchase page. GPI does not sell to the retail market and has developed an excellent network of distributors who can take care of your individual needs. The links below will direct you to the dealer product pages for our #2000 model. For a list of all of our dealers please visit our Where to Purchase page. GPI does not sell to the retail market and has developed an excellent network of distributors who can take care of your individual needs. The links below will direct you to the dealer product pages for our #2001 model. For a list of all of our dealers please visit our Where to Purchase page. GPI does not sell to the retail market and has developed an excellent network of distributors who can take care of your individual needs. The links below will direct you to the dealer product pages for our #2010 model. For a list of all of our dealers please visit our Where to Purchase page. GPI does not sell to the retail market and has developed an excellent network of distributors who can take care of your individual needs. The links below will direct you to the dealer product pages for our #2250 model. For a list of all of our dealers please visit our Where to Purchase page. GPI does not sell to the retail market and has developed an excellent network of distributors who can take care of your individual needs. The links below will direct you to the dealer product pages for our #2251 model. For a list of all of our dealers please visit our Where to Purchase page. GPI does not sell to the retail market and has developed an excellent network of distributors who can take care of your individual needs. The links below will direct you to the dealer product pages for our #2300 model. For a list of all of our dealers please visit our Where to Purchase page. GPI does not sell to the retail market and has developed an excellent network of distributors who can take care of your individual needs. The links below will direct you to the dealer product pages for our #2600 model. For a list of all of our dealers please visit our Where to Purchase page. GPI does not sell to the retail market and has developed an excellent network of distributors who can take care of your individual needs. The links below will direct you to the dealer product pages for our #2655 model. For a list of all of our dealers please visit our Where to Purchase page. GPI does not sell to the retail market and has developed an excellent network of distributors who can take care of your individual needs. The links below will direct you to the dealer product pages for our #2751 model. For a list of all of our dealers please visit our Where to Purchase page. GPI does not sell to the retail market and has developed an excellent network of distributors who can take care of your individual needs. 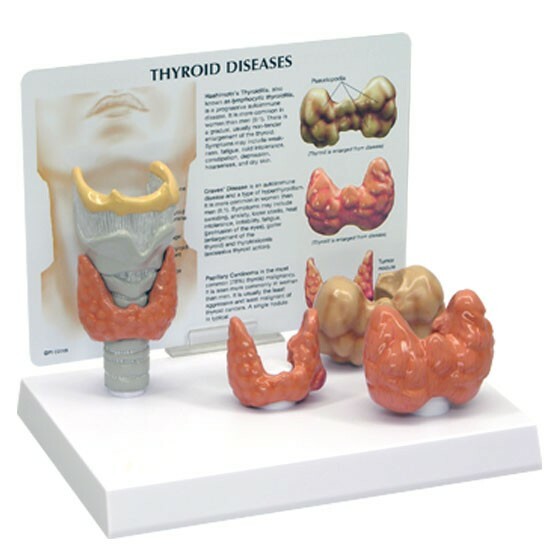 The links below will direct you to the dealer product pages for our #2780 model. For a list of all of our dealers please visit our Where to Purchase page. GPI does not sell to the retail market and has developed an excellent network of distributors who can take care of your individual needs. The links below will direct you to the dealer product pages for our #2850 model. For a list of all of our dealers please visit our Where to Purchase page. GPI does not sell to the retail market and has developed an excellent network of distributors who can take care of your individual needs. The links below will direct you to the dealer product pages for our #2851 model. For a list of all of our dealers please visit our Where to Purchase page. GPI does not sell to the retail market and has developed an excellent network of distributors who can take care of your individual needs. The links below will direct you to the dealer product pages for our #2861 model. For a list of all of our dealers please visit our Where to Purchase page. GPI does not sell to the retail market and has developed an excellent network of distributors who can take care of your individual needs. The links below will direct you to the dealer product pages for our #2880 model. For a list of all of our dealers please visit our Where to Purchase page. GPI does not sell to the retail market and has developed an excellent network of distributors who can take care of your individual needs. The links below will direct you to the dealer product pages for our #2950 model. For a list of all of our dealers please visit our Where to Purchase page. GPI does not sell to the retail market and has developed an excellent network of distributors who can take care of your individual needs. The links below will direct you to the dealer product pages for our #3000 model. For a list of all of our dealers please visit our Where to Purchase page. GPI does not sell to the retail market and has developed an excellent network of distributors who can take care of your individual needs. The links below will direct you to the dealer product pages for our #3150 model. For a list of all of our dealers please visit our Where to Purchase page. GPI does not sell to the retail market and has developed an excellent network of distributors who can take care of your individual needs. The links below will direct you to the dealer product pages for our #3250 model. For a list of all of our dealers please visit our Where to Purchase page. GPI does not sell to the retail market and has developed an excellent network of distributors who can take care of your individual needs. The links below will direct you to the dealer product pages for our #3260 model. For a list of all of our dealers please visit our Where to Purchase page. GPI does not sell to the retail market and has developed an excellent network of distributors who can take care of your individual needs. The links below will direct you to the dealer product pages for our #3300 model. For a list of all of our dealers please visit our Where to Purchase page. GPI does not sell to the retail market and has developed an excellent network of distributors who can take care of your individual needs. The links below will direct you to the dealer product pages for our #3310 model. For a list of all of our dealers please visit our Where to Purchase page. GPI does not sell to the retail market and has developed an excellent network of distributors who can take care of your individual needs. The links below will direct you to the dealer product pages for our #3330 model. For a list of all of our dealers please visit our Where to Purchase page. GPI does not sell to the retail market and has developed an excellent network of distributors who can take care of your individual needs. The links below will direct you to the dealer product pages for our #3340 model. For a list of all of our dealers please visit our Where to Purchase page. GPI does not sell to the retail market and has developed an excellent network of distributors who can take care of your individual needs. The links below will direct you to the dealer product pages for our #3350 model. For a list of all of our dealers please visit our Where to Purchase page. GPI does not sell to the retail market and has developed an excellent network of distributors who can take care of your individual needs. The links below will direct you to the dealer product pages for our #3401 model. For a list of all of our dealers please visit our Where to Purchase page. GPI does not sell to the retail market and has developed an excellent network of distributors who can take care of your individual needs. The links below will direct you to the dealer product pages for our #3550 model. For a list of all of our dealers please visit our Where to Purchase page. GPI does not sell to the retail market and has developed an excellent network of distributors who can take care of your individual needs. The links below will direct you to the dealer product pages for our #3551 model. For a list of all of our dealers please visit our Where to Purchase page. GPI does not sell to the retail market and has developed an excellent network of distributors who can take care of your individual needs. The links below will direct you to the dealer product pages for our #3552 model. For a list of all of our dealers please visit our Where to Purchase page. GPI does not sell to the retail market and has developed an excellent network of distributors who can take care of your individual needs. The links below will direct you to the dealer product pages for our #3570 model. For a list of all of our dealers please visit our Where to Purchase page. GPI does not sell to the retail market and has developed an excellent network of distributors who can take care of your individual needs. The links below will direct you to the dealer product pages for our #3600 model. For a list of all of our dealers please visit our Where to Purchase page. GPI does not sell to the retail market and has developed an excellent network of distributors who can take care of your individual needs. The links below will direct you to the dealer product pages for our #3751 model. For a list of all of our dealers please visit our Where to Purchase page. GPI does not sell to the retail market and has developed an excellent network of distributors who can take care of your individual needs. The links below will direct you to the dealer product pages for our #3800 model. For a list of all of our dealers please visit our Where to Purchase page. GPI does not sell to the retail market and has developed an excellent network of distributors who can take care of your individual needs. The links below will direct you to the dealer product pages for our #3900 model. For a list of all of our dealers please visit our Where to Purchase page. GPI does not sell to the retail market and has developed an excellent network of distributors who can take care of your individual needs. The links below will direct you to the dealer product pages for our #4000 model. For a list of all of our dealers please visit our Where to Purchase page. GPI does not sell to the retail market and has developed an excellent network of distributors who can take care of your individual needs. The links below will direct you to the dealer product pages for our #4011 model. For a list of all of our dealers please visit our Where to Purchase page. GPI does not sell to the retail market and has developed an excellent network of distributors who can take care of your individual needs. The links below will direct you to the dealer product pages for our #4020 model. For a list of all of our dealers please visit our Where to Purchase page. GPI does not sell to the retail market and has developed an excellent network of distributors who can take care of your individual needs. The links below will direct you to the dealer product pages for our #9050 model. For a list of all of our dealers please visit our Where to Purchase page. GPI does not sell to the retail market and has developed an excellent network of distributors who can take care of your individual needs. The links below will direct you to the dealer product pages for our #9051 model. For a list of all of our dealers please visit our Where to Purchase page. GPI does not sell to the retail market and has developed an excellent network of distributors who can take care of your individual needs. The links below will direct you to the dealer product pages for our #9060 model. For a list of all of our dealers please visit our Where to Purchase page. GPI does not sell to the retail market and has developed an excellent network of distributors who can take care of your individual needs. The links below will direct you to the dealer product pages for our #9070 model. For a list of all of our dealers please visit our Where to Purchase page. GPI does not sell to the retail market and has developed an excellent network of distributors who can take care of your individual needs. The links below will direct you to the dealer product pages for our #9075 model. For a list of all of our dealers please visit our Where to Purchase page. GPI does not sell to the retail market and has developed an excellent network of distributors who can take care of your individual needs. The links below will direct you to the dealer product pages for our #9080 model. For a list of all of our dealers please visit our Where to Purchase page. GPI does not sell to the retail market and has developed an excellent network of distributors who can take care of your individual needs. The links below will direct you to the dealer product pages for our #9090 model. For a list of all of our dealers please visit our Where to Purchase page. GPI does not sell to the retail market and has developed an excellent network of distributors who can take care of your individual needs. The links below will direct you to the dealer product pages for our #9141 model. For a list of all of our dealers please visit our Where to Purchase page. GPI does not sell to the retail market and has developed an excellent network of distributors who can take care of your individual needs. The links below will direct you to the dealer product pages for our #9151 model. For a list of all of our dealers please visit our Where to Purchase page. GPI does not sell to the retail market and has developed an excellent network of distributors who can take care of your individual needs. The links below will direct you to the dealer product pages for our #9160 model. For a list of all of our dealers please visit our Where to Purchase page. GPI does not sell to the retail market and has developed an excellent network of distributors who can take care of your individual needs. The links below will direct you to the dealer product pages for our #9170 model. For a list of all of our dealers please visit our Where to Purchase page. 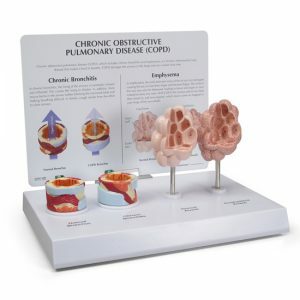 GPI does not sell to the retail market and has developed an excellent network of distributors who can take care of your individual needs. The links below will direct you to the dealer product pages for our #9195 model. For a list of all of our dealers please visit our Where to Purchase page.